This is a re-post of an article published several years ago. Munsey Ricci runs an independent Radio promotion and marketing company called Skateboard Marketing. Skateboard Marketing puts hard rock and metal acts on Active Rock, Album Oriented Rock (AOR) stations and College stations that play metal. 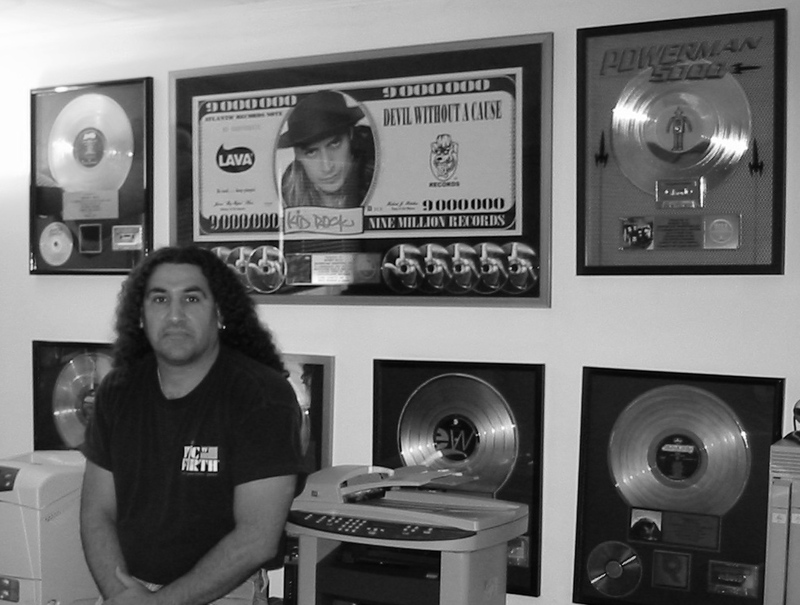 Munsey started his career as a guitar player, worked in a jingle house as an engineer and created the Metal department for Polygram records in 1989 before starting Skateboard Marketing. Over the past seventeen years Munsey has worked with Disturbed, Pantera, Megadeth, Black Sabbath, Marilyn Manson, Judas Priest, Iron Maiden and Anthrax, among others. Munsey outlined the ins and outs of radio and how radio promotion works. He also discussed when bands should consider a strategy for getting their music to radio and offered up some tips for getting the attention of radio gatekeepers. What does doing independent promotion entail? When you do independent promotion you use your relationships at radio and in the industry to get records played on the radio. So if you’re a radio promotion company, you have your whole list of stations; we have 400 commercial and college and syndicated metal shows. We call radio every week. We have a bulk permit with the post office and do all our mailings in house. I schedule an ad date, set a record up with the trade magazines and from hat point we call radio every week. We ship a record every week and send a tracking report: these are the people we called; this is where the record is getting played; these are the chart numbers it had. It’s not as easy as everyone thinks it is. A lot of bands could say, “I’m just going to send my stuff out or service my stuff out digitally.” Great, but by servicing yourself digitally, if you don’t have a relationship at that radio station or you don’t know how to get a hold of the PD or the MD or the person that does the metal show, your phone calls and e-mails are falling on deaf ears. You have to know how to get to them, what they are into, what they like to play, when they like to play it, how to get them on the phone. Then you can be physically accepted and get your records played at that station. Obviously, every station is different. Every metal show is different and every active station is different. How they program, and what records they put on really goes by the station. If you look at, for example, what Eddie Trunk does in New York at Q104, it’s not going to be the same thing that Full Metal Jackie does in Los Angeles. Eddie Trunk won’t play “Lamb of God.” He will play a Winger record or a Scorpions record. Full Metal Jackie will play Slayer and “Lamb of God.” That’s where the differences come from. You have to know what a station does before you call it up on the phone and give a laundry list; because it’s very counter-productive to do it any other way. When is the right time to go to radio for bands just starting out? There’s never a wrong time and there’s never a right time. You have to time it right. The end of the year, because of the holiday crunch and all the records going for ads is a bad time. If you’re an independent, it’s not that you’re going to get lost in the sauce, but it’s a bad time because radio will only have space for ten records. They’ll pick their ten favorite records, which will usually be made up of mostly more established artists. If you’re an independent, they’ll say, “I listened to this record and I like this record but I didn’t like this other record, and I only have room for five.” So they’re only going to put in one. If you look at the schedules and say, “I know February and March are going to be pretty light; there aren’t going to be that many releases coming,” then you can schedule the record for February or March. Really what that comes to is, once the band finishes their record, they have to stop and look at scheduling, see what’s on the schedule, know what’s coming out and what they can and can’t compete with. They have to know their limitations. The only way to know that is to look at the schedule. If someone wanted to go for ads this week [two weeks before Thanksgiving] and they are a brand new band, I’d advise them not to. I’d say, “Let’s go next week or the week after. Or let’s wait until January because there’s less traffic.” But that’s just 2009-2010. 2010-2011 can be a completely different ballgame. What about timing in a band’s development as far as going to radio? Should a band be at a certain point in their career? What sells a new band to a program director or music director at a station? How do you recommend approaching stations as a band? Twenty years ago, if you didn’t have a house PA system, you couldn’t tour. Now it’s a different story. The smart things most bands could do is take their time with the record. Don’t say, “Come on, we have to get it done!” Go in the studio, take your time. If it takes two months or three months, get it right. Get the tracks right, get the mix right. Get everything right. When you do artwork, don’t do cheesy artwork. Spend a couple bucks and get some really good artwork. Get a uniform barcode and get the album barcoded. Have it pressed from one of the pressing plants, whether it’s Digital Works or Play-It Productions. Bring it to somebody that’s going to do the printing right. When it’s all right, then is the opportunity to go get a publicist and get a radio promotion company to do it. I take out new bands every week; we have all signed independents and majors. But the bands that aren’t signed need to do it that way. Otherwise it’s just another local band trying to get their stuff played. “Do it right and take your time” is my best suggestion to them. Then they come to me with a record that looks professional, sounds professional, has good songs on it, is shrink-wrapped and has a security seal on it, and retail can take it in. Then you have the opportunity to deliver finished product to a distributor and try to sell some records. So actually having a physical CD matters? You are never really going to abolish physical product. There is always going to be somebody that wants a physical record. Someone is always going to want to see artwork and liner notes and pictures of the band. They’re going to want to have the physical disc. If you look at SoundScan, some titles, downloads exceed physical; and on some titles physical exceed downloads. It depends on the band. If you want to use this as an example – Dream Theater. Their fans are loyal and faithful, but still, when you go to a record store, fans would rather buy a Dream Theater record than just go and download it. As far as radio is concerned, will look at for digital delivery for radio is that it’s inexpensive and a lot cheaper than manufacturing and serving the old school way where you just throw it into an envelope and send it; but you still need to send some physical to select people. That’s one of the ways you can cut your overhead on promotion and marketing costs as far as publicity, retail and radio is concerned by servicing everybody digitally, but there are still going to be industry people that want the physical product, and I’m one of them. I have a CD rack that goes from one end of my wall to another and from the ceiling to the floor. Every week I go to the store and buy stuff. I like to have the disc, and then I rip it into iTunes. As far as radio stations go, there are select radio stations I deal with, like Carl Schmidt at WVBR in Ithaca and Joe Wyatt at WEOS in Geneva. These are two prime examples. They’ve been doing the metal show at both of their stations for ions, and they want the physical product. They want to put it in their racks and are avid collectors. You’re never going to eliminate the collector or the real die-hard music fan that just wants to support the band they like. They’re going to go buy the records regardless. If you’re in the band, the most important thing you have is your fans, and you want to make sure you take care of your fans. Obviously ten years down the road there will be more digital than physical, but you’re still not going to abolish physical discs. Knowing what you know now, if you were in a band today, how would you choose someone to help you bring your product to radio? My suggestion would be, whether you’re metal, alternative, pop, urban or hip hop artist is to find out who the key players are first. The way to do this is to call somebody you know at a record company and say, “Hey, I’m an alternative artist, and I want to take my record out. Who are the companies you use?” Then you send each one of them a copy of the record and let them listen to the record. If the person says, “Yeah, it’s great, I’ll do it for five grand,” right away you know it’s not the right person. You want someone that gets the band and gets the music and is a fan of the band first. Then you want to see if this person is the right guy and where are his relationships, what is his past track record and what has he done? These are what you need to look at. Once you see that, then the most important thing is talking to other artists and asking them if they like the person, who they got the best vibe from, if they really like the person, if the person is right for you, etc. The only way to do this is to physically pick up the phone, call someone, tell them who you are, give them the record and ask what they can do with it. That’s the only way you can do it. Anybody in a band knows people that are signed and have tours. You ask, “Who did you use for your independent radio promotion?” And there’s your referral. It’s a very small community and very tightly-niched. What’s your opinion of the value of college radio in the current climate? If you look at the big picture on college radio, usually about 60-80 college stations in the country have a cumulative audience – a cume – and affect sales in their market. If you look at WSOU in South Orange, NJ, they’re the largest college station in the country. And when they add a record, we see sound scan. There are only a handful of others. The other stations, they don’t really have a cume. If you’re looking at a small 300-Watt station, they have listeners – five, ten or twenty faithful listeners or their friends that listen when they play new stuff. And then you’ll get one fan who listens to the record and says, “Hey, I really like this band.” And then he plays it for two of his friends, and then this person goes out and plays it for two of his friends. If you sell five records, you did your job, and you developed the artist and created five more fans. And then you have five more fans to add to your fan base. All college is important. Because they are supporting what they believe in. If they are supporting my band, then I want to support them. I don’t care if they are 3 watts or 30,000 watts. Support who supports your band. Do you have any general words of caution or advice for artists? Take your time with your record and make sure it’s right. Once you know everything’s ready to go and you’re getting ready to pick the people to work with, make sure they are the right people to work with – the people you feel comfortable with. Don’t be afraid to call someone you don’t know. Pick up the phone and just do it. I take calls all the time from new bands. I’ll talk to anybody looking to make the next step. I just love being part of a new bands career. For more information about Munsey Ricci and the work he does in the music business, visit the Skateboard Marketing website.